Tiger Woods is making his return to golf, and of all places it's in the Bahamas. I bet it will be getting pretty cold in the Midwest and the Northeast around late November and early December, too, and the lure of sparkling water, island breeze and the sweet harmony of pured 5-irons sounds like heavenly golfy bliss, doesn't it? Well, if you need a vacation, you are in luck. Turns out you can easily find direct and affordable flights to the Bahamas, and there are plenty of lodging options as well—hotels and rentals. Since we at GOLF.com fully endorse golfy getaways, we did the digging for you and came up with seven different Airbnb rental options (for all budgets) for the week of the Hero World Challenge, all of which are a short drive or within walking distance of the course. For five nights — Wednesday, Nov. 29 to Monday, Dec. 4 — you can watch four full days of golf (it's a no-cut event!) and enjoy everything the Bahamas has to offer. You can even tee it up yourself! Even better, divvy these prices up between you and your buddies or family members and it's even cheaper. But act fast, because these options won't be available forever. 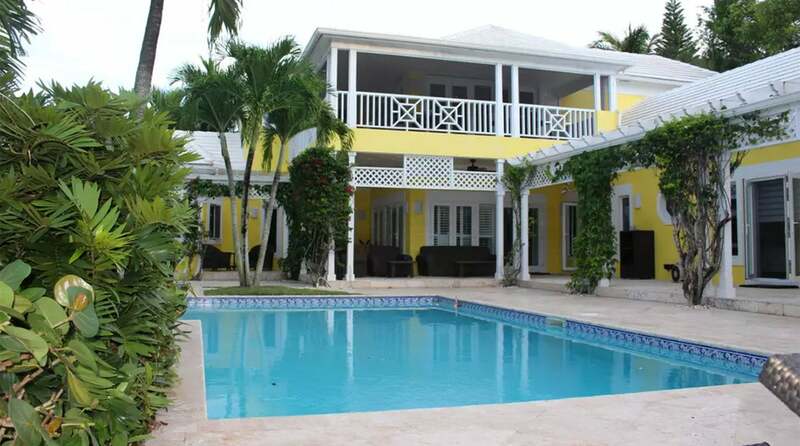 What you get: Located in a gated community this canal-front property has a huge private pool and dock. A golf cart also comes with the rental, so you can drive a few miles down the road to the course! What you get: Located in the Island House apartment complex, this boutique-hotelesque option boasts an on-site movie theater, gym, spa, pool and a trio of restaurants. What you get: What's better than beach access? That's what you get here, and who knows, maybe it's so good you don't even want to head to the golf course. Located on the north side of the island, outdoor activities runneth over at this joint. What you get: This two-story house has plenty of space — 3,300 square feet! — and a private pool and deck to boot. And don't forget your own yard and a gated entrance. What you get: It's hard to argue with your own pool, a nice lounge area and a gorgeous view of the ocean. You're also just a few miles from the casino—if you dare. What you get: Only a few hundred yards away from Albany Resort and the tournament, this cottage has a gated entrance and spacious deck to relax on after your day at the course. It's also walking distance to the south coast. What you get: It's the farthest away from the course among these options, but it's still not too bad. Plus, it has a lot of local flavor around it, and think of all the extra cash you get to keep in your pocket.